1 Which One is Best? 4 Which One to Choose? 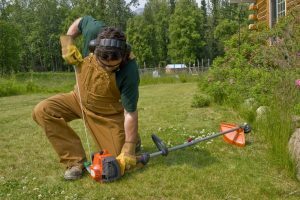 In general, string trimmers have the ability to cut weeds and grass, especially in areas where lawnmowers are not able to do the job, such as under bushes, and even around trees. 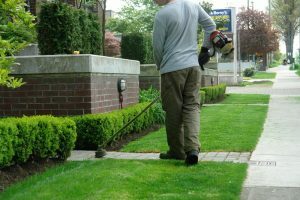 At the same time, they also provide assistance when it comes to edging along the sidewalk or driveway, making sure that they look really good. There are several options that exist and you can take into consideration, such as models that come with different shaft shapes. For instance, curved shafts work best typically with smaller yards, while those with straight shafts are geared towards heavy-duty use. Trimmers that come with curved or straight shafts work generally in a very similar way. The power source, or engine, if you are using the electric option, is usually situated at the top, while its cutting string is found at the bottom of the equipment. At the same time, there is a drive cable that runs down into the center of its hollow shaft so as to connect the two so that the engine can easily power the cutting string without any problem. On the other hand, with a curved shaft, the drive cable should also come with a curved shape, which may eventually lead to breakage through time. For this very reason, straight shafts are generally more durable since the curve is not an issue. There are some homeowners who prefer the grip and the hold of a curved shaft trimmer since it is clearly more comfortable for use. Mostly, they are also slightly lighter when compared to a straight trimmer, and the shaft is typically shorter because of the presence of the curve. This provides users with better control, but not really as much flexibility as is usually offered by straight-shaft trimmers that usually allow you to work on hard-to-reach areas that are usually avoided by curved-shaft trimmers. Also, you can take into consideration where you will actually need it. For instance, straight-shaft trimmers are generally more versatile compared to curved-shaft options. At the same time, they also provide a longer reach, thus allowing you to get more coverage of trimming in a much faster time. This is because the straight-shaft trimmer usually has the capability to get through the bushes, as well as around plants that are located in your flowerbed with extra precision compared to a curved shaft. At the same time, the long reach can also mean that you will not be hit by those flying debris. Weed eaters come in different sizes and shapes. At this point, it is very important to identify the main differences between electric and gas weed eaters, and curved and straight shafts. Making the best choice will help you save time and money, and save you from frustration. This can only be done by spending some time in doing your research. 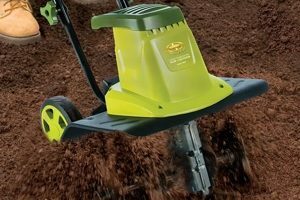 As explained above, straight-shaft weed eaters have been historically the preferred type of trimmer for many lawn care professionals. They are known to be capable of taking on heavier bushes and even deal with thicker weeds better when compared to curved-shaft options. There has been argument about which type is most easily maneuvered, but it is the straight shaft version that typically wins. Straight-shaft weed eaters generally have more reach, and can usually accept more attachments such as hedge trimmers, blowers, and several others. These weed eaters are also generally more expensive to curved-shaft models. They are also preferred by taller people because they do not have to bend much when compared to curved models. On the other hand, curved-shaft weed eaters were primarily designed with full comfort in mind. A lot of users actually feel that these types of weed eaters are generally easier to use and maneuver. The spinning line directions also differ between the straight and curved models. This is because curved-shaft models usually spin in a better direction since the trimmings usually get on the feel lesser as you continue to move. However, one of the most obvious benefits of the curved shaft is its weight. It typically weighs less, making it a whole lot easier to use for different trimming jobs. Also, shorter people tend to choose the curved-shaft option rather than the straight-shaft weed eater. Which one should you choose then? As mentioned above, there are several factors that you need to take into consideration. Regardless of those factors, it is very important to take note of the features that you would want to see in your weed eater. Do you want one that can give you comfort according to your height? If you are a tall person, a straight shaft would be the obvious choice because this will eliminate the need to bend too much. On the other hand, if you are shorter compared to others, choosing a curved shaft will give you more benefit because it is more comfortable, and designed with shorter people in mind. Aside from these basic factors, you may also have other features in mind. This being said, experts usually highly recommend listing down all of your expected features, and comparing them with the features that are already included in most models. In this way, you can choose the right one that can fit your needs. However, if you consider yourself a non-expert in this field, you may want to trust the expertise of other people who have already purchased these types of tools. This can be done by checking on some internet reviews, reading on blogs and forums, and even asking questions in order to make sure that you can only get the best. After all, purchasing either a curved shaft or a straight shaft weed trimmer can turn out to be an investment on your part. Therefore, making the right choice will save you a lot.